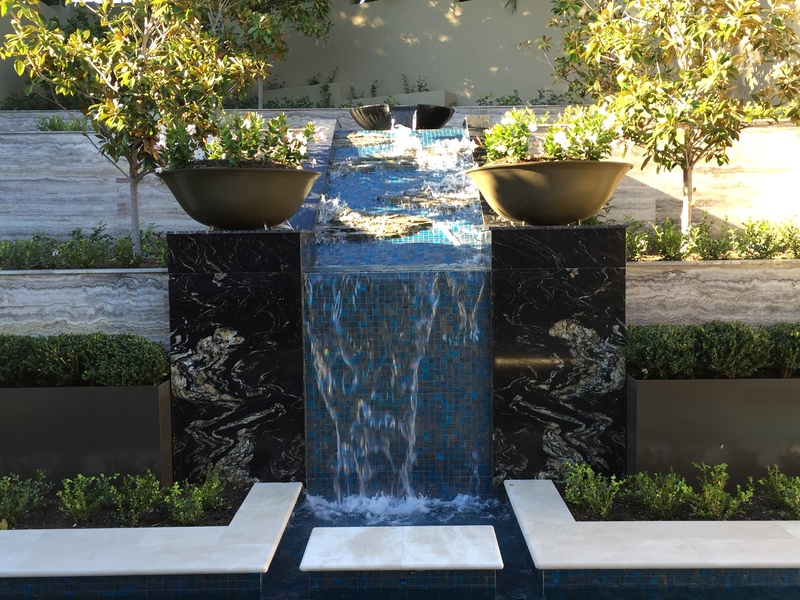 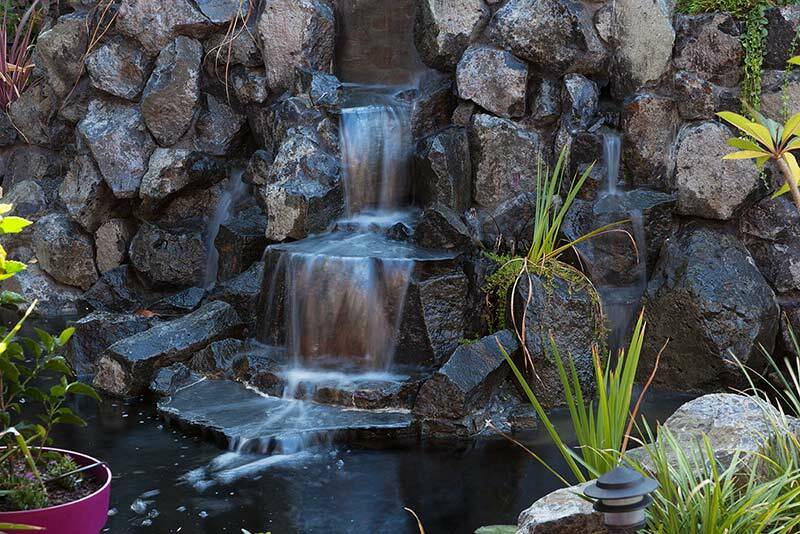 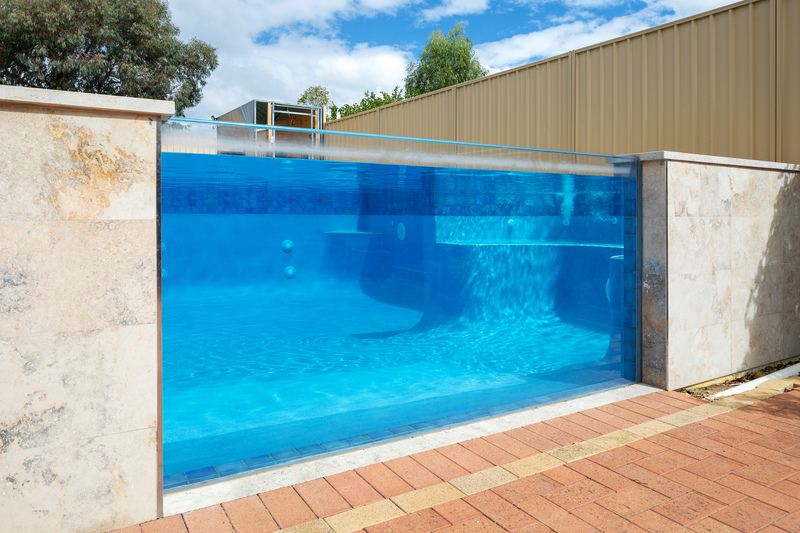 Inheriting an existing pool shell by the home builder that was reminiscent of a swamp; we were delighted to exceed the clients expectations when completing the construction and high quality finish of this project. 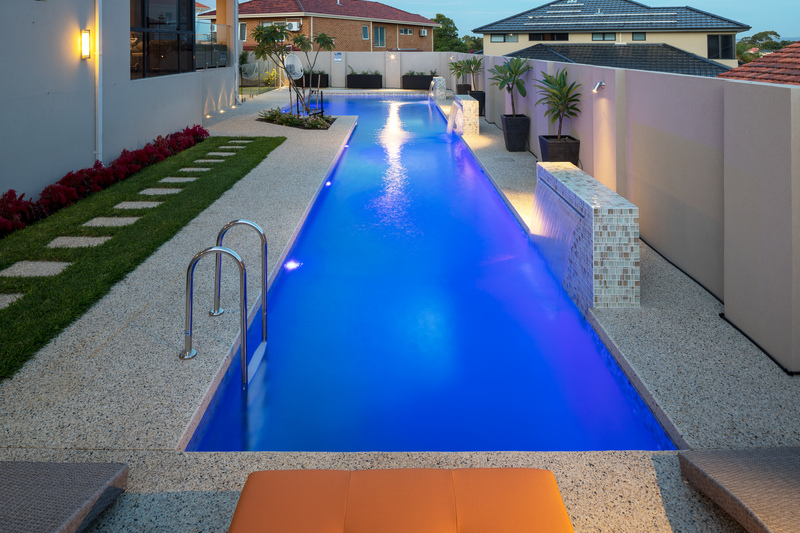 The expansive 20 meter lap pool was transformed into a modern contemporary retreat. 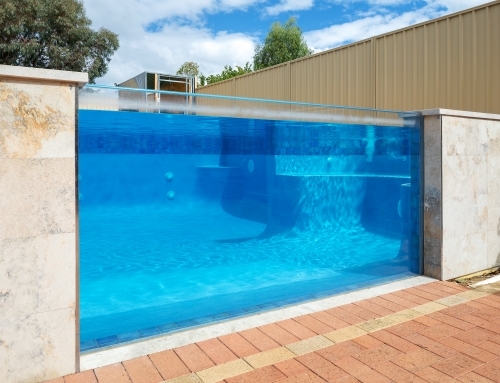 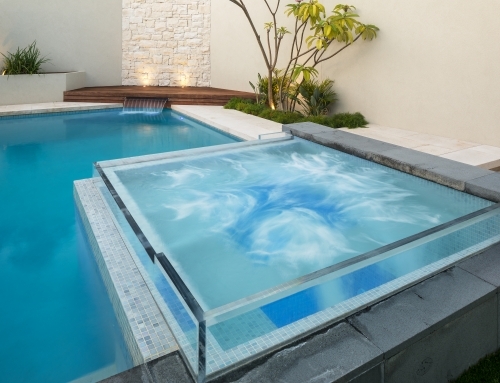 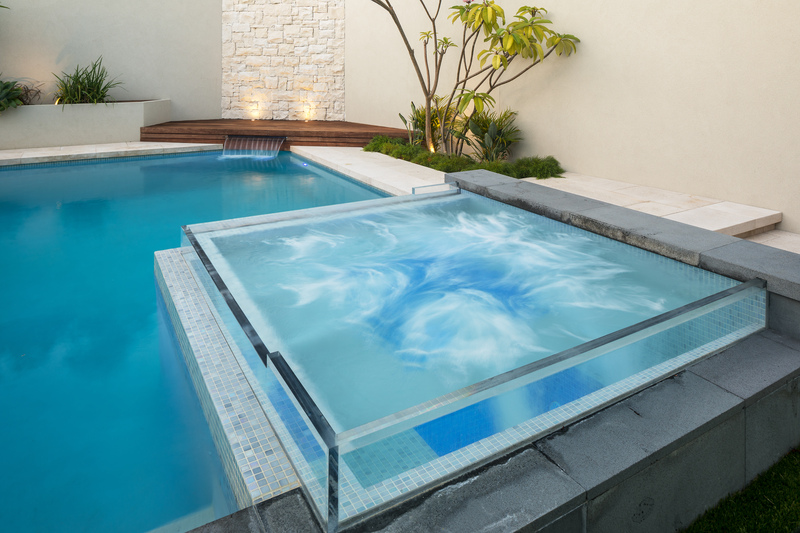 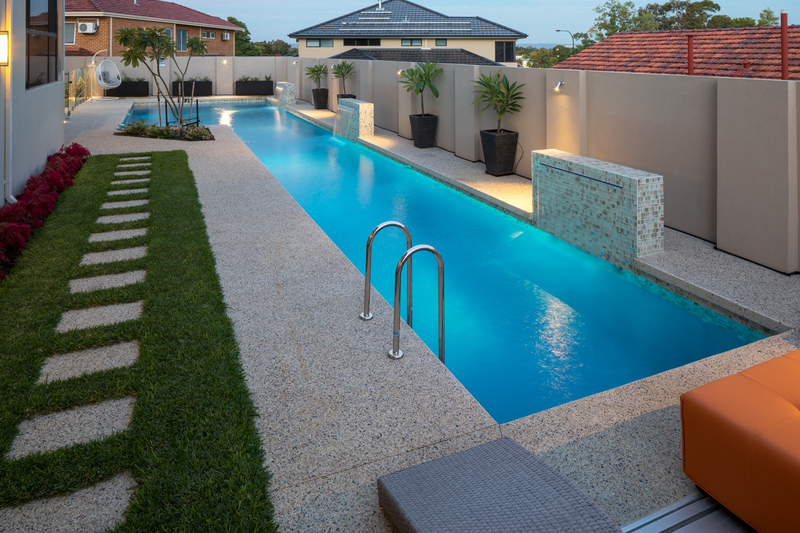 Not only simply stylish, the pool is practical with a Pooldeck step ladder entry to the deep end & concealed Hideaway in-ground pool cover box. 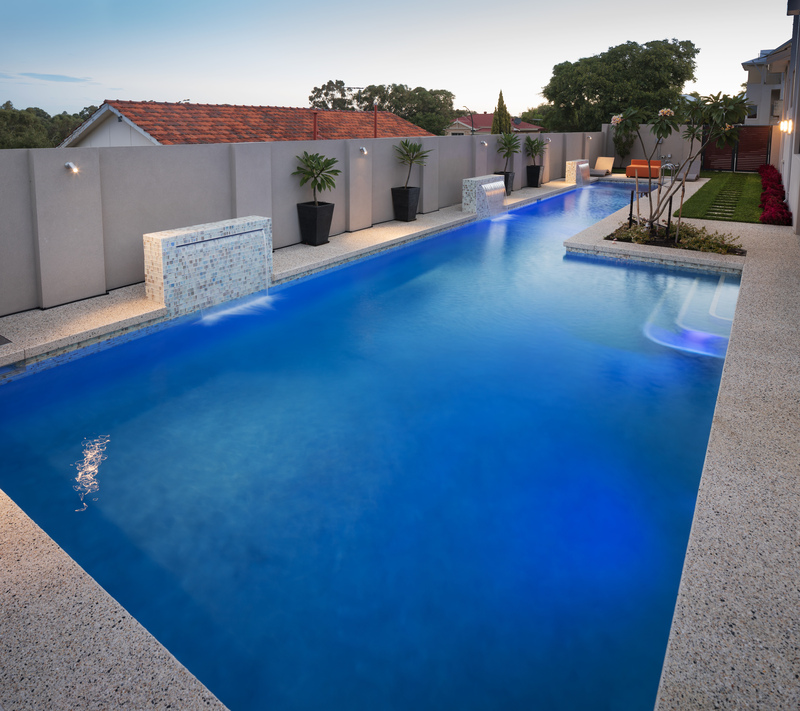 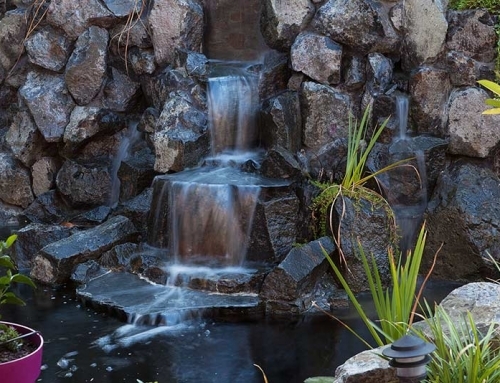 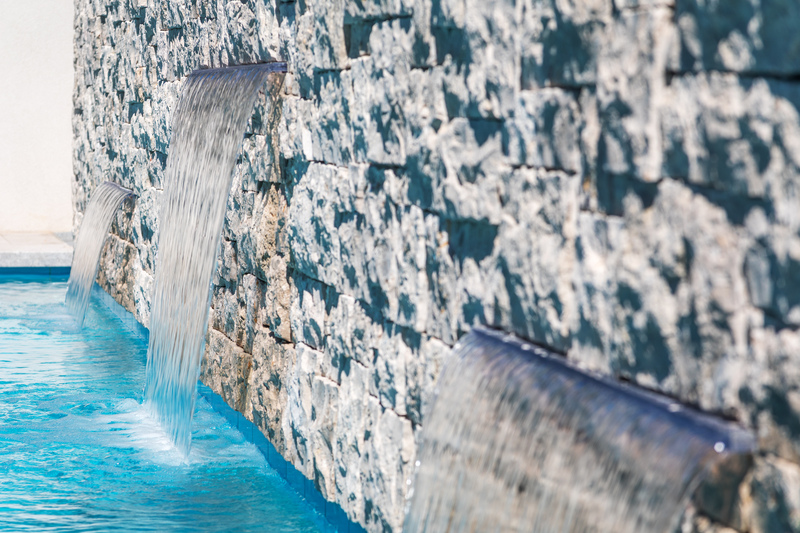 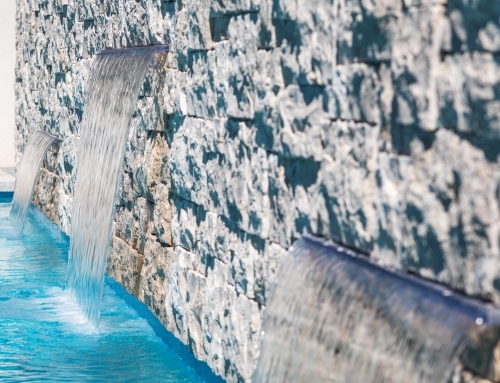 Three waterblade feature walls were also constructed to mirror the clean lines throughout the property. 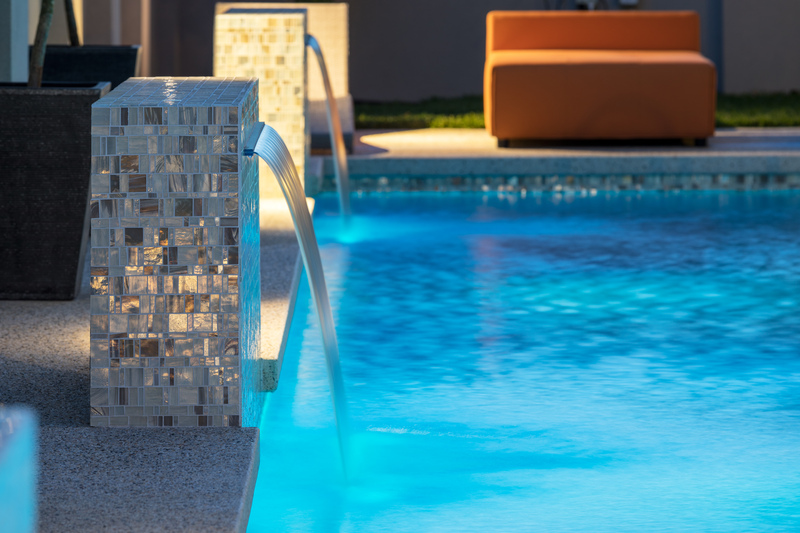 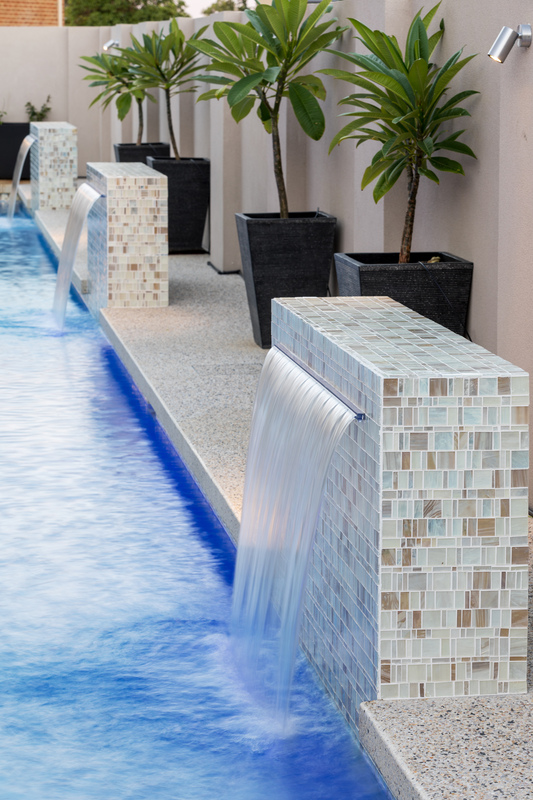 The unique Trend Liberty “Opal” mosaic tiles are beautifully luminescent at twilight with the reflection of the pool water and LED lighting making not only the water features but also the waterline itself, a stunning focal point for swimmers to admire.